Leslie Williams’ best friend’s 50th birthday was the perfect occasion for a celebratory girls’ trip to France. Last September, Leslie, her best friend, and two other friends packed their suitcases for a ten-day overseas adventure. The girls spent most of their vacation in Paris, France. 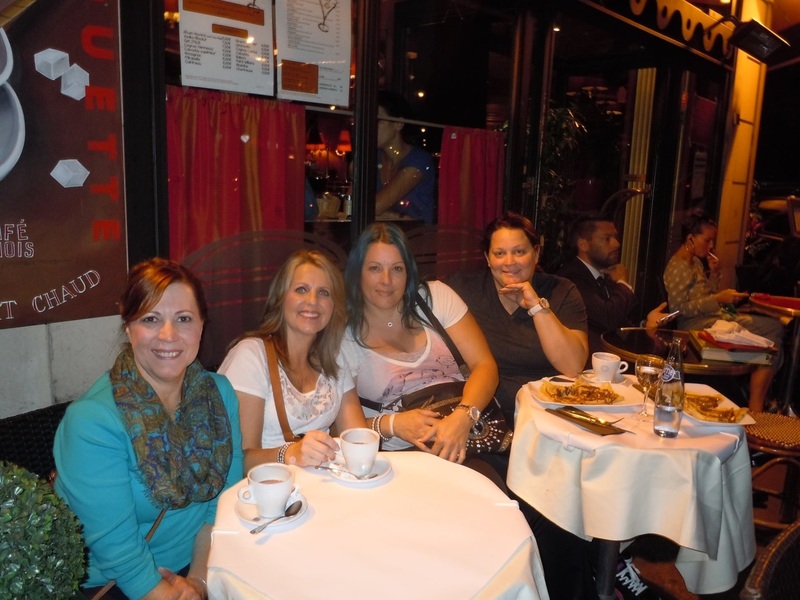 They stayed in a small boutique hotel close to the Arc de Triomphe. Leslie enjoyed discovering the city. She particularly liked the Haussmanian architecture, traditional gardens and shopping on the Champs Elysees. She was able to realize an old dream of placing her own lock on the Lover’s Bridge (Pont des Arts). Lovers or friends write their initials on a padlock and lock it on the bridge’s fence to symbolize their love or friendship. 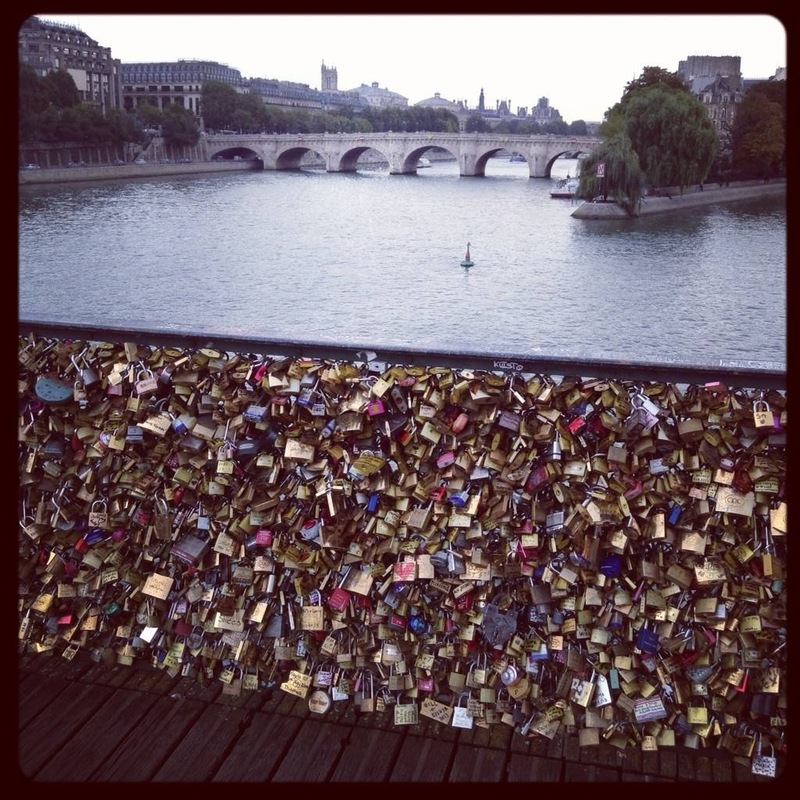 Then, the key is thrown in the Seine River to symbolize unbreakable love. They took most of their meals at local bistros where the food was simple but delicious. Her blue hair drew a lot of attention, giving her the opportunity to meet many locals and chat over meals. She also noticed that in Paris, people don’t need to leave their neighborhood to shop for necessities because boulangeries (bakeries), bistros and markets are in each neighborhood. The girls took the Eurostar train from Paris to London (via the Chunnel) where they stayed one night before returning to France. They were able to discover the traditional English architecture, shop in famous English stores and enjoy restaurants on Regent Street. They also tried some London-based microbrews while conversing with new found friends. Leslie’s favorite part of the trip was a visit to champagne cellars in the Champagne region of France. 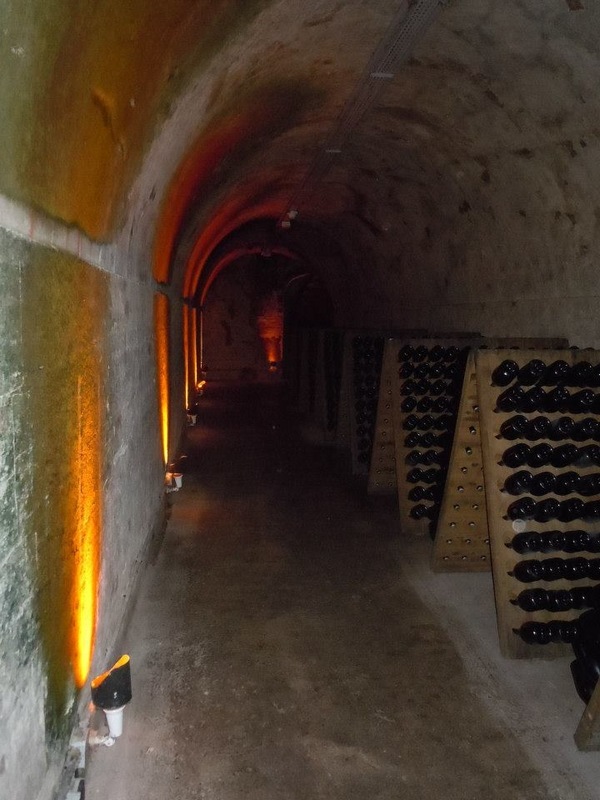 She visited two famous cellars: Mumm and Moët & Chandon, where she learned how champagne was made. All the villages of the region grow grapes or make corks for champagne and wine bottles. Champagne is exclusively made with grapes from the Champagne region. Most champagne is a blend of three grapes: Chardonnay, Pinot Noir and Pinot Meunier. Bottles are aged in cellars where the temperature varies between 26°F and 34°F. Each bottle is slowly hand turned every day for thirty days before market. Dom Pérignon is still made the same way since its creation and is exclusively made with grape s from Dom Pierre Pérignon’s place of birth. This luxurious champagne ages ten years before consumption. Leslie was surprised to learn that champagne becomes sweeter with age and never becomes stale. Leslie’s funniest memory of the trip happened while touring the Moët & Chandon cellar. The phrase “text your mother” was code for “take a picture of this good looking man”. However, during the visit, her friend forgot to disable the flash and got caught by the tour guide while taking a picture of him. Overall, Leslie found that French people are mostly trendsetters, they are not influenced by other countries’ ways. She suggested “keep an open mind” if you are considering a similar trip - just “go with the flow”. Also assume extra travel time if you plan to walk or take the metro (subway). Additionally, Leslie suggested converting Dollars to Euros in the United States, because during your trip, you won’t always be close to a currency exchange office. Leslie loved her girls trip and would like to go back to France to “tour more wineries” and “discover more of what that country has to offer”.